Some of you may have noticed that I am working with Kraft as a Real Women of Philadelphia Ambassador. 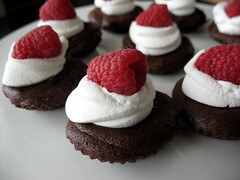 I've written some posts on their site and contributed some recipes, which I really think you'll love! My family sure did. In fact they keep asking me to make them all again, really soon. There's some tips for summer snacking, five things I'll bet you didn't know about me, a tutorial on making lime curd, how I find inspiration in the kitchen, and some recipes that I created just for Kraft! There's so much cool stuff over on the Real Women of Philadelphia site, you should head over and check it out. Not only can you find a pile of recipes, but there are forums, contests, and a lot more! 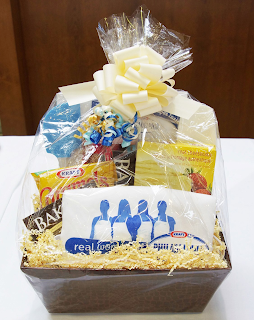 While I have you here though, why not enter for a Kraft gift basket worth $50? You know you want it. There's various products as well as an apron and wooden spoon. This Giveaway is now closed. Thanks for playing! I went to random.org and plugged in the amount of comments, and the number I got back gave me... Mama_B! She was notified and has been put in touch with Kraft. Stay tuned though, more giveaways are coming! I kinda want it just so I can eat those caramels hiding in there. I looooove Kraft caramels. If you have a mailing address in Canada, it's really easy to win. All you have to do is leave a comment below. 1. Tweet the following:" I entered to win a $50 @phillycanada gift basket from @scatteredmom http://www.chasingtomatoes.ca/2013/07/kraft-real-women-of-philadelphia-and.html "
That's it! The contest will close at midnight PST Saturday, July 27 and I will announce the winner Sunday, July 28th. Good luck!